The Articulation Assessments Toolkit (AAT) is an individually administered clinical tool for screening, identification, diagnosis and follow-up evaluation of articulation skills in English speaking individuals. -Screens articulation skills to determine needs for further assessment. k.Ability to add notes on the app during the assessment. Administration Time for the Screening is between 4 to 8 minutes. Administration of the Full assessment is from 9 to 20 minutes. The administration varies depending on child’s attention span, use of sample recording for target word and use of recording feature. Recording the errors is very simple. 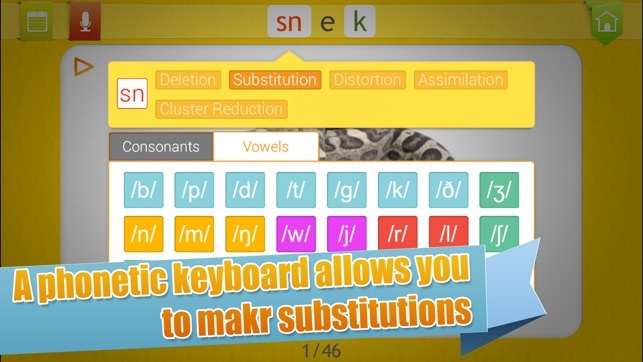 The green phonemes have been enabled to be clicked. Only click on the phoneme if the student has made an error. For the screening testing once you click on the green phonemes the phoneme becomes red and it records that the student has made an error on that phoneme. If the student has produced the target word accurately proceed to following target. The AAT was developed by Barbara Fernandes, a Trilingual Speech and Language Pathologist and Smarty Ears. **Mentioned by Apple, inc as "New and Noteworthy app". Currently featured under "What's Hot". 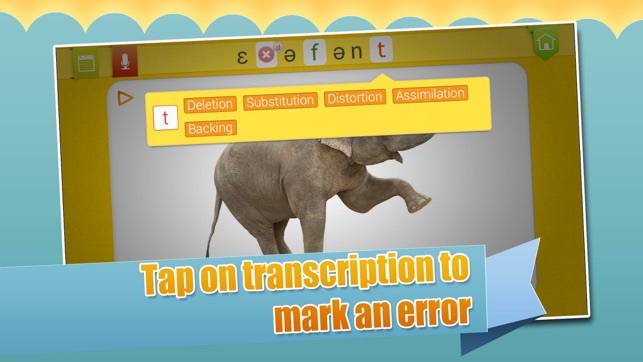 This is my go to app for testing articulation and phonology. You could choose if you want to do the full test, a quick screener, or the r screener. While doing the test/ screener you could mark errors right away. You could also type in notes to remind you of certain errors or manner of production. Recording is also an option to review later. It could also help the child by using it as an auditory feedback for sessions. They would know they are producing speech sounds better. Another great thing is that you could flip the IPA facing you if you are in front of the child. After the test, you rate their intelligibility in 2 ways: single word and conversational. So there is a touch of subjectivity. I love that the reports are easy for parents to understand. It's very visual. It explains to the parents that there are phonemes that are supposed to be mastered at a specific age. Making them understand that it is important to also work on them at home. 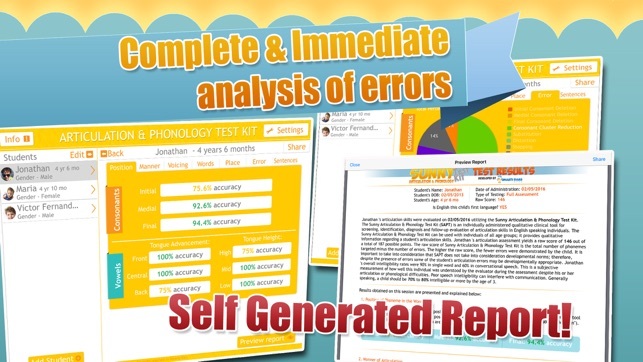 While this test is not standardized, it provides detailed information on speech production errors in single words, including types of errors and percentage of errors in specific word positions. It allows for audio recording of responses which can be reviewed later. The option of screening or full assessment is a nice feature, and can be a quick way to monitor progress. The report feature can be a time saver, with reports available for both screening and full assessment. 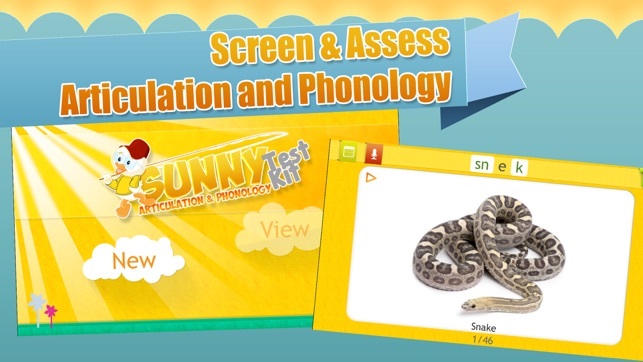 Sunny has become my favorite artic & phonology testing resource. The pictures are engaging and I have yet to find a client who doesn't enjoy "flipping" the pictures and saying the words. I love the data collection and report that automatically populates with specific errors and diagnostic findings. This app is a great investment for SLPs. No books to get ripped or protocols to run out of!